I think you'll recognize a certain somebody. If you're nice, I just might autograph it for you to keep forever and say "hey, I knew that girl once." wow! congrats! that's so exciting! Oh my gosh! What an honor! I just submitted a TON of recipes to TOH last week...as I'm a "editor" as well. I cannot wait to read it, I haven't rec'd it yet? Has it hit newstands? Woot!! I'll have to get that issue at the newsstand - so exciting!! Congratulations, I'll be sure to look for it. 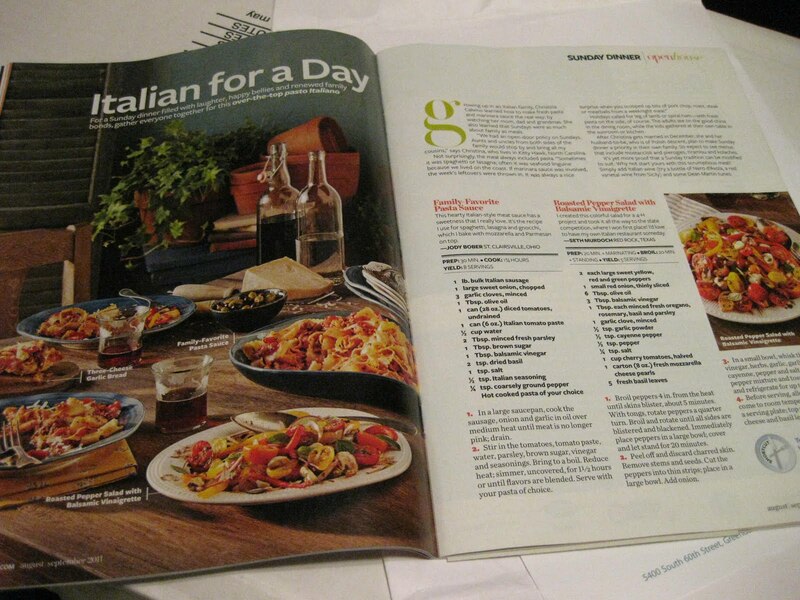 That's a great magazine for recipes.